Shadow of the Tomb Raider just released last week and we have been having a blast playing it– along with just about every reviewer out there. One thing that we noticed though is that it’s really hard! The game’s director himself said it would be the toughest entry in the series, and it really seems that way… Here are 5 things we learned in our travels through the Peruvian jungle that we wish we knew when we started. 5 1. Adjust If You Need! Underwater sections of games are the worst! We can handle zombies coming for our brains or boss fights with enemies 10 times our size, but swimming through dark, murky, tightly enclosed underwater caverns is too much! Shadow of the Tomb Raider also throws piranhas into the mix, which is why we definitely recommend unlocking two skills that will help you out with this early in the game: Caiman’s Breath and Caiman’s Speed. 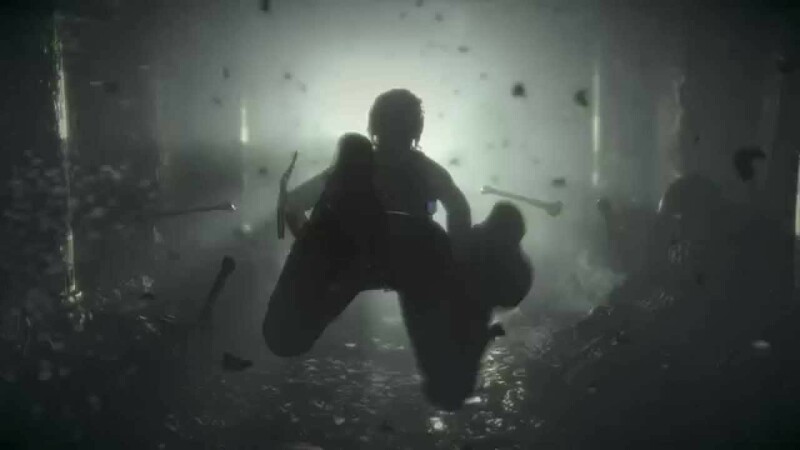 There are going to be a lot of underwater sections in Shadow of the Tomb Raider, and even if you don’t have gaming hydrophobia, this is still a very worthwhile investment of your skill points. Caiman’s Breath will allow you to hold your breath for longer, and Caiman’s Speed will allow you to swim faster; two things that will make your piranha experiences much more manageable– oh and it’ll help with the eels too, did we mention those? You’re an archeologist, remember? Get out there and archeologize stuff! 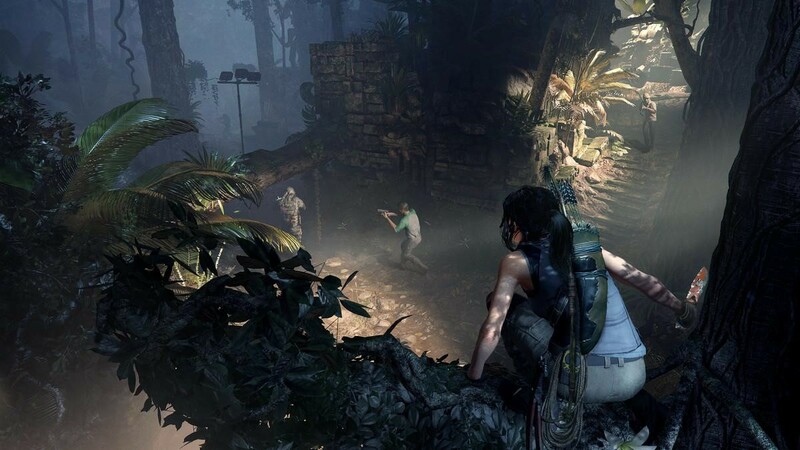 The world of Shadow of the Tomb Raider is filled with treasure that is not always in plain sight; and most of the time it’s up to you to find its secret hiding place. You never know what might be at the bottom of a flooded cavern, or what may be waiting for you in the tallest spire of a crumbling temple. You’ll always be handsomely rewarded with what you find, along with XP and crafting supplies along the way. The same goes for the NPC’s in the game. Each and every one of them is part of the mystery that is the Peruvian jungle. With each new town you arrive in there are merchants eager to buy the jade and gold you’ve found and other individuals with stories to tell, quests to give, and treasures to reward you with. 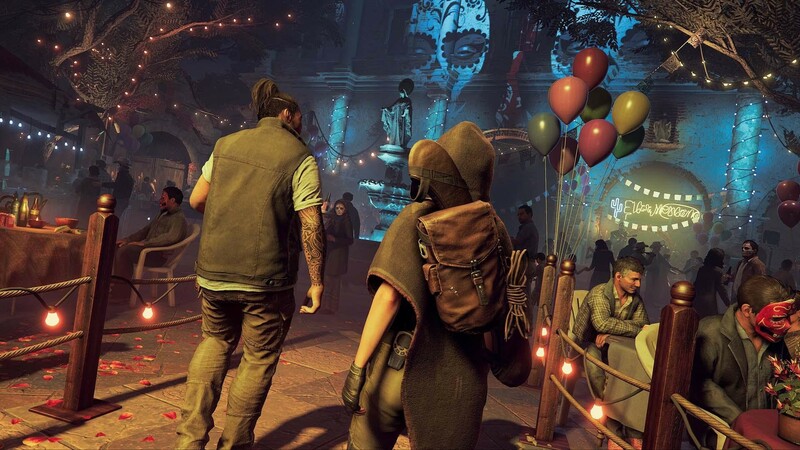 Knowing which items you should pick up in Shadow of the Tomb Raider is a little tricky because you never know when you’re going to need them. 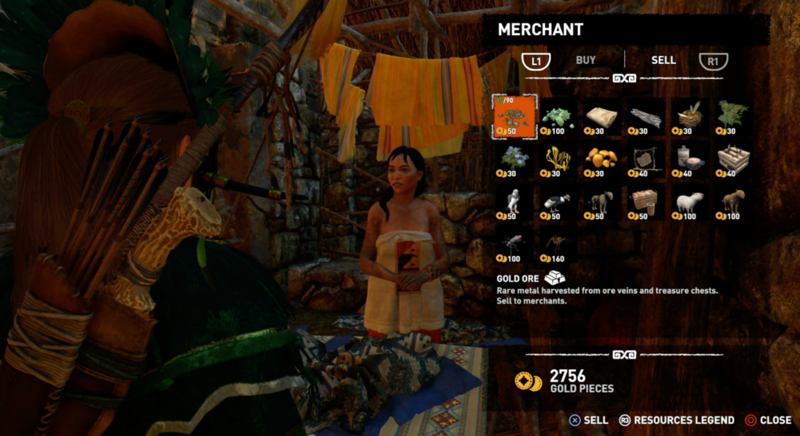 Some things you come across might be coveted by merchants, some are great for crafting, and other items are for on-the-go health boosts. Our solution? Grab it all! And when you run out of space in your pack… get a bigger pack from a merchant! And don’t forget that some of the most useful loot-able items can come from animals you can hunt. We know it’s tough to kill a cute little Capybara or a majestic Jaguar, so to make it a little less painful for you and the animal, aim for the heart with the help of one of the skills you can unlock. This’ll allow you to quickly (and humanely) one-shot large beasts. It’s important to constantly upgrade your equipment to survive. Upgrading your clothing, weapons, and gear at a Base Camp will boost their stats like reload time or armor. But, if you want a totally new weapon, you’ll have to earn it or buy it. New gear comes from your exploration of crypts, side missions, or merchants; which you can then repair/improve with the crafting supplies you gather. 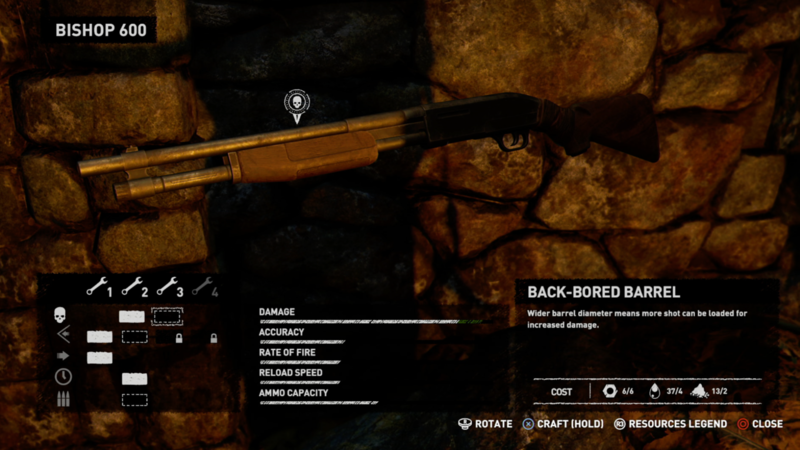 One weapon we’d recommend upgrading first and foremost is the shotgun. It’s incredibly useful throughout all the close quarters encounters in the game, and incredibly powerful when upgraded. 1. Adjust If You Need! If the dangers of the Peruvian jungle are still too much for you to handle, you can also adjust difficulty levels in the menu! 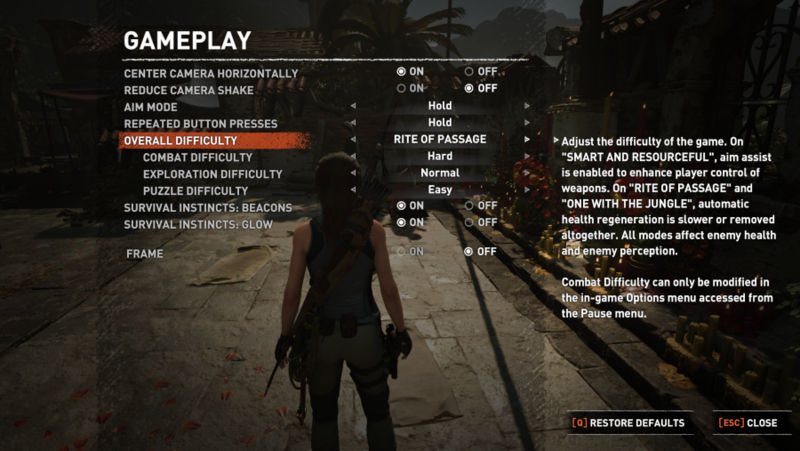 This is especially useful in Shadow of the Tomb Raider because you can make changes to three different aspects of the game separately: the combat, exploration, or puzzle difficulty. Adjusting the combat difficulty will change things like the amount of ammo boxes, and the health/damage of your enemies. The Exploration difficulty level will add or remove objective indicators and aspects of your Base Camp. And the degree of puzzle difficulty will change the amount of in-game hints that are given when working on a puzzle, and will also decrease the amount of time you’re given to solve certain puzzle mechanics. How are you doing out there in the rugged jungles of Peru? We hope these tips will help, and if you know anything useful that we missed, let us know in the comments below or on one of our social media accounts: Facebook, Twitter, Instagram.